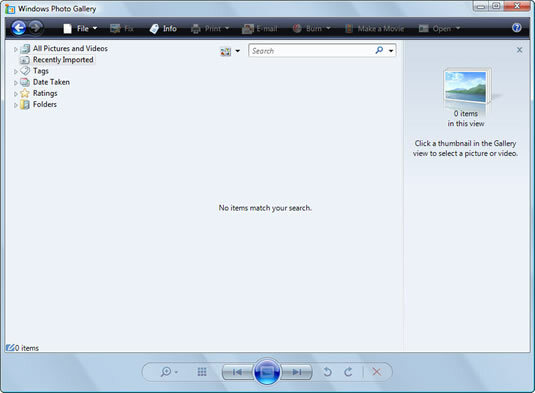 Open the Windows Photo Gallery, click the problem photo, and click the Fix button. 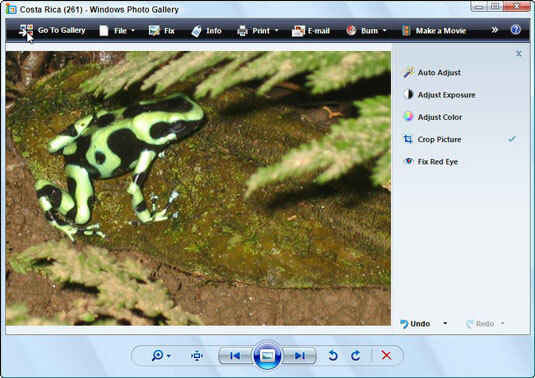 The Windows Photo Gallery lives in the Start menu’s All Programs area. The Crop Picture tool places a rectangle in your photo. The rectangle shows the cropped area — everything outside the rectangle will be cropped out. Vista places the rectangle in the center of your photo, which is rarely the best place to crop. Reposition the rectangle by pointing at it, and while holding down the mouse button, move the mouse to drag the cropping area to a new position. 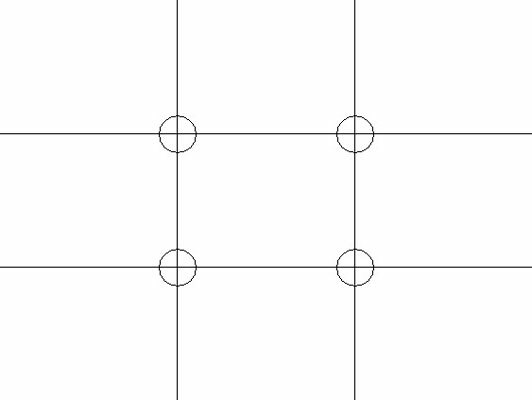 Then, adjust the rectangle’s size by dragging the corners in and out. Click Apply to crop the image. 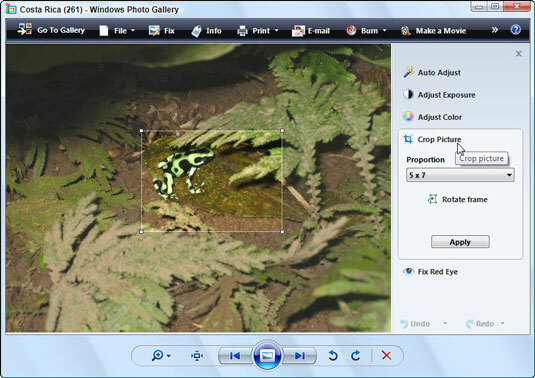 Windows Photo Gallery crops away the photo portions outside your frame. Click Undo if you’re unhappy with the crop. If you’re happy with it, close the program or click the Back to Gallery button. Clicking Undo brings back the uncropped photo for you to try again. If you’re happy with the crop, though, click Back to Gallery to see your photos again or close the program.